WASHINGTON, DC, US and BUELACH, Switzerland, November 1, 2016 – BIOTRONIK today presented users’ first experiences with Magmaris1 during a symposium at TCT. The BIOSOLVE-II trial had previously established the safety and clinical performance of Magmaris. In June 2016, the first clinically proven magnesium-based resorbable scaffold (BRS) received CE approval. At the symposium, physicians discussed interim results of BIOTRONIK’s Magnesium 1,000 program. In order to help first implanters gain experience in the most effective possible use of Magmaris, the program requires participating physicians to record each implantation. To date, over 500 implantations have taken place in 25 countries. Physicians at the symposium further discussed why optimal patient profile and lesion selection is crucial when deciding whether to use BRS. "Cautious patient selection is key, and attention must be paid to lesion length, size and type to insure the best possible outcomes with Magmaris," commented Dr. Jacques Koolen, Catharina Hospital, Eindhoven, Netherlands. "Younger patients with de novo lesions in vessels with a diameter not smaller than 2.7 mm are ideally suited for Magmaris. Evidence from trials and clinical practice demonstrate that with the right lesion, Magmaris leads to a simple and viable procedure which provides a very good outcome for the patient. This was established by the complete absence of scaffold thrombosis at 12 months observed in the BIOSOLVE-II trial. The upcoming BIOSOLVE-IV trial will shed more light on Magmaris's efficacy in a wider patient population." BIOSOLVE-IV is a prospective, single-arm, multi-center registry looking at single de novo lesions with a primary endpoint of target lesion failure (TLF) at 12 months. It has already enrolled the first of a projected 1,065 patients in Asia, Australia and Europe. Meanwhile, BIOSOLVE-III, a pivotal trial in 61 patients with single de novo lesions, has just completed its primary endpoint of procedural success during hospital stay. Magmaris is a limus-eluting resorbable magnesium scaffold exclusively available from BIOTRONIK. Due to the scaffold’s magnesium backbone, it offers novel benefits that only a metallic scaffold can offer such as desired deliverability, strong radial support and a fast resorption time of approximately 12 months. In addition, the proven BIOlute coating, consisting of a limus drug and an excipient, ensures controlled drug release to inhibit cell growth similarly to Orsiro2, BIOTRONIK’s hybrid drug-eluting stent. A global leader in cardio- and endovascular medical technology, BIOTRONIK is headquartered in Berlin, Germany, and represented in over 100 countries. Several million patients have received BIOTRONIK implants designed to save and improve the quality of their lives, or have been treated with BIOTRONIK coronary and peripheral vascular intervention products. 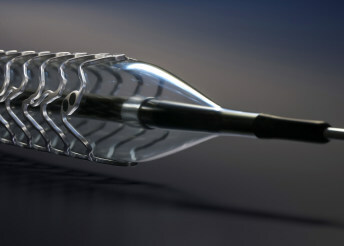 Since its development of the first German pacemaker in 1963, BIOTRONIK has engineered many innovations, including Magmaris1, the first clinically-proven resorbable magnesium scaffold; BIOTRONIK Home Monitoring®; Pulsar2, the world’s first 4 F compatible stent for treating long lesions; Orsiro, the industry’s first hybrid drug-eluting stent; and the world’s first implantable cardioverter defibrillators and heart failure therapy devices with ProMRI® technology. Not currently available in the United States.